SmarterTrack is a customer service software that allows you to provide the best levels of customer support. 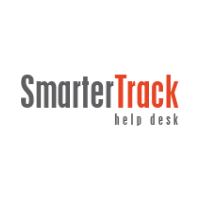 Take advantage of SmarterTrack e-mail ticketing system, live chat, and VoIP integration. The self-service portal and online community features allow your resources to be available to customers even when you are not. Manage email queries easily with a ticket system. Give your customers support in real time with live chat. Give your customers access to the information they need around the clock. Choose from a range of Professional or Enterprise packages to suit the scope of your business. You can also purchase upgrades for your existing package. Enhance your customer service by taking advantage of SmarterTrack's many features. Convert e-mail queries into tickets that are automatically sent to right member of your team. Provide customer service in real time. Use VoIP and call logs to track and manage your telephone calls and other communications. Give your customers access to help at any time through a self-service portal, knowledge base, and online community features. Integration with WHMCS using a module from the WHMCS app store. You can also create integration modules for your own applications. Includes unlimited support from SmarterTools for 12 months. 12 months free upgrade protection. Maintenance and Support is valid for 12 months and allows you to upgrade your installation to the latest version at anytime. Purchase upgrades for your existing SmarterTrack package. Upgrade the number of agents or the change the type of package from PRO to ENT. Servertastic Limited is registered in England and Wales.